Looking for Social Studies worksheets? 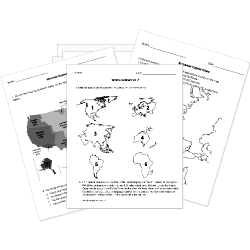 Check out our pre-made Social Studies worksheets! You are browsing Grade 3 questions. View questions in All Grades. You can create printable tests and worksheets from these Grade 3 Arkansas questions! Select one or more questions using the checkboxes above each question. Then click the add selected questions to a test button before moving to another page. Fayetteville is part of which level of government?